UK2000 has released Cumbernauld Xtreme Airport (EGPG) for FSX and FS2004. Details at the UK2000 Website. KC Flight Shop has released service pack 1 to the Evektor SportStar for FSX. More information at the KCFS Website. 5 new HD livery’s and much more! FSAddon has released an update to the Fieseler Fi 156 Storch for FSX. Details at the FSAddon Website. The freeware Barnaul Airport (UNBB) for X-Plane is now available to download at AVSIMrus. Angelo Tassoglou has released his freeware Crete west photo scenery for FSX. Download at AVSIM. Ramzzess has posted the first in-game screenshots from the Beriev Be-200 project for X-Plane. The freeware de Havilland DH.110 Sea Vixen for X-Plane is now available to download at X-Plane.org. Just Flight Airbus A320 Jetliner & Livery Expansion Packs at Half-Price. Until 9am (UK time) on Tuesday 11th October. Oryx Simulation has posted the first preview pictures from Calgary/Okotoks Air Park (CFX2) for FSX. Orbx has posted more preview pictures from the upcoming Goheen Airport (W52) for FSX. Earth Simulations has posted another preview screenshot from the upcoming Isle of Man scenery for FSX. AivlaSoft has updated Electronic Flight Bag (EFB) to version 1.31 SP5. More information at the AivlaSoft Website. NEW : New option (settings/miscellaneous) "Show message box when program is closing"
Matt Rocha has posted several preview images from the upcoming freeware São José dos Campos Airport (SBSJ) for FSX. The Carenado Beechcraft F33A Bonanza for X-Plane is now also available to purchase at SimMarket. Orbx has posted a few more preview pictures from the upcoming Anacortes Airport (74S) scenery for FSX. AUscene has posted the first pictures from Adelaide Airport (YPAD) for FSX in the FSDeveloper Forums. Thai Creation has posted more preview pictures from Macau International Airport (VMMC) for FS2004. Freeware Ivano-Frankovsk Airport (UKLI) V2.0 for FS2004 is now available to download at AVSIMrus. Leading Edge Simulations has posted new cockpit renders from the Douglas DC-3 for X-Plane. MogwaiSoft Shade for FSX is now available to purchase at SimMarket. More screenshots have been posted from the IRIS Flight Simulation Software Pitts Special 'Prometheus' for FSX. Orbx has released Skagit Regional Airport (KBVS) for FSX. More information and purchase at the Orbx Website. Over 115sq km of fully annotated scenery! Includes the brand new NatureFlow tech! feelThere is offering a 35% discount on Tower! 2011 & AddOns. Valid until October 14th 2011. A2A Simulations has posted details on changes and fixes in the upcoming Accu-Sim core update version 1.1 for FSX. Blueprint Simulations has released the Ezeiza International Airport (SAEZ) V2 Upgrade for FSX and FS2004. Turbine Sound Studios (TSS) has released the Boeing 757 RR Sound Package for FS2004. Available at SimMarket. KC Flight Shop has posted more preview renders from the upcoming Republic RC-3 Seabee for FSX. The Eaglesoft Cessna Citation CJ1+ Version 2.0 is now also available for FSX. Details at the Eaglesoft Website. Orbx has posted the new preview pictures from the upcoming freeware High River Regional Airport (CEN4) for FSX. Orbx has posted more preview images from around the upcoming Anacortes Airport (74S) scenery for FSX. Majestic Software has posted two videos on the stall characteristics of the upcoming Dash 8 Q400 for FSX. Coolsky has posted an article on the Automatic Flight Control System in the upcoming Douglas DC-9 Classic for FSX. Carenado has released the Beechcraft A36 Bonanza for FSX. More information at the Carenado Website. Fresnel shader maps allow realistic reflections and lighting. Two original Carenado GNS430 installed. Pop up A36 manual with normal, emergency checklist and performance tables. 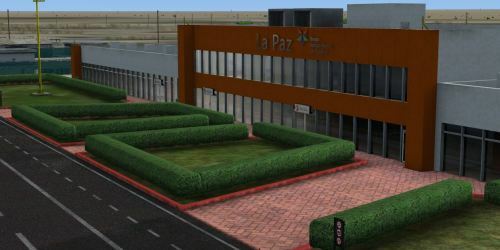 Baja Sim has released La Paz Intl. Airport, Baja California Sur (MMLP) for FSX. Available at SimMarket. The freeware Shenyang Taoxian International Airport (ZYTX) scenery for X-Plane is now available to download at XPFR. Gayan Liyanaarachchi has released the freeware Colombo International Airport (VCBI) for FSX. Download at AVSIM. Flightdeck Solutions has posted several pictures from the new Boeing 787 Cockpit. Orbx has posted more preview pictures from the soon to be released Skagit Regional Airport (KBVS) for FSX. FlightBeam Studios has released the long-awaited San Francisco International Airport (KSFO) for FS2004. KSFO FS9 and KSFO-X is ONE purchase! Includes ALL upgrades from KSFOX V2! Ben Supnik has posted an article concerning GPU requirements in the upcoming X-Plane 10 on the X-Plane Developer Blog. Eagle Rotorcraft Simulations has posted two more screenshots from the Bell 206B JetRanger III for FSX. 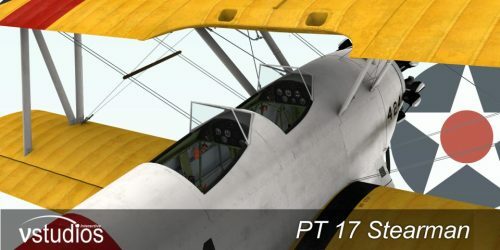 VertigoStudios has posted new preview pictures from the Boeing Stearman PT-17 project for FSX. Turbine Sound Studios (TSS) has posted the product video from the Boeing 757 RR Sound Package for FS2004.